You are here: Home / Blog / Starting a Nonprofit / It’s Update Week! This blog is about starting nonprofit organizations. I try to post useful information most every week that startup nonprofiteers will find useful, and there are dozens of people reading my blog, (literally dozens! maybe even scores! ), and sometimes I get actual feedback from a few of you. Please keep it up. Because of this feedback, I’ve recently gone back and updated a couple of earlier posts, and I thought this week, I’d just recap what those changes are, since people may not know to go back and check. 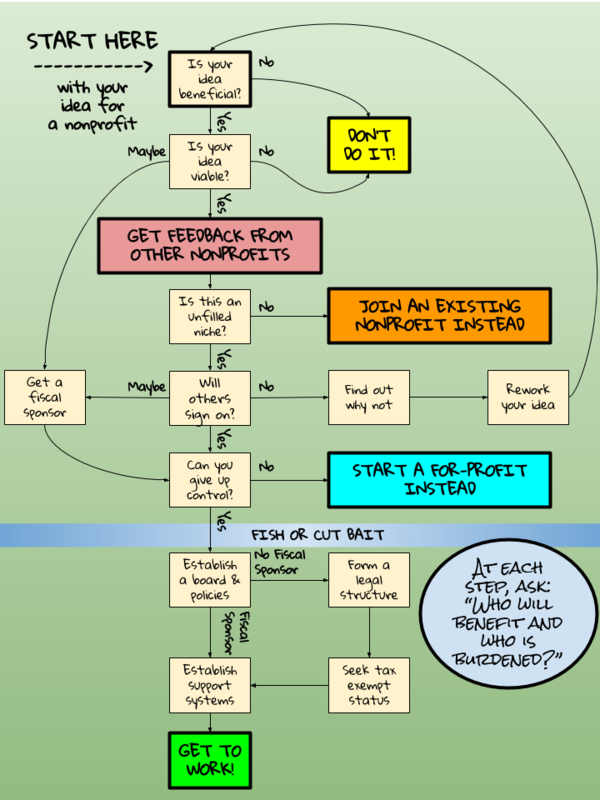 There’s a new and improved Nonprofit Startup Flowchart! Almost immediately after publishing my Nonprofit Startup Flowchart, I started seeing things that should be added. The first version of the flowchart never explicitly suggested that nonprofit founders should meet with leaders from other nonprofits. This is an absolute must, because it’s the only way to really understand how your group will fit into the ecosystem. It also gives you a reality check about working with whatever population you’re serving. Nobody knows that like the people already doing it. Also, the older version of the chart didn’t clue you in on the fact that creating a nonprofit could require giving up control. If you want to “own” the new organization, you should probably start a for-profit business instead. The updated chart makes this clear. Finally, a colleague suggested that I include something about considering the issue of equity throughout the process. Now there’s a notice that at each step the founder should consider who will benefit from any actions taken and who will be burdened. For instance, when you meet with other nonprofit leaders you may learn that you’re about to compete for funding resources that could negatively impact the population already being served. This kind of thing needs to be taken into account throughout the process or you may inadvertently do more harm than good. Those changes requires a new image of the chart, and a little re-arranging. Check it out! Form 1023s don’t take as long as they used to! When I wrote about the problems introduced with the IRS’s form 1023-EZ, I didn’t mention that the longer form 1023 is usually about as fast as the shorter, cheaper form. 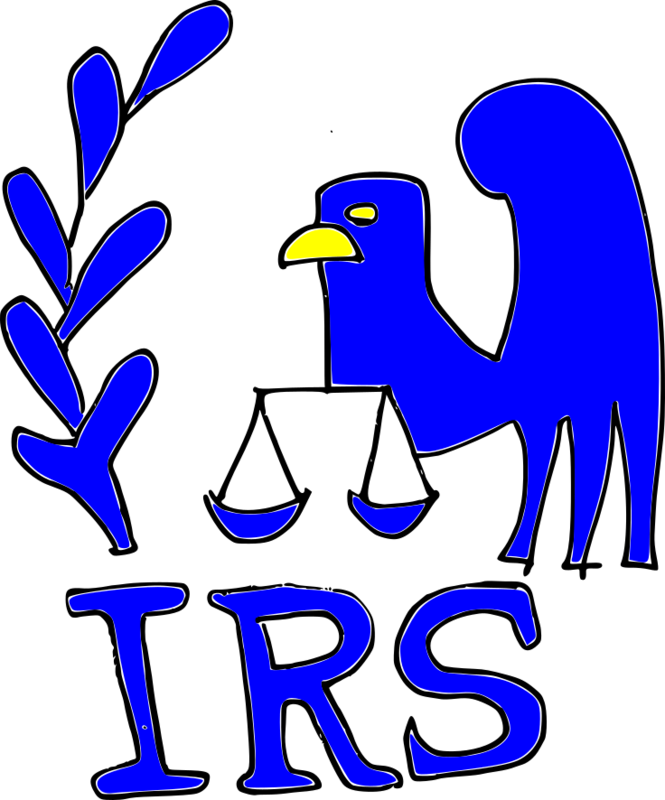 It’s quite possible now that only a few weeks will elapse between the time you submit the longer form and when you get your decision from the IRS. Nevertheless, it’s important to understand the long form, rather than take shortcuts!